Editor’s Note: In the spirit of seeking sunshine during a gray winter, and to help usher in the upcoming baseball season, we will be featuring baseball movies every Monday between now and Opening Day. Today’s choice of silver screen Baseball goodness looks at what happens when one gets a second chance to follow a dream. Today we return to the world of real events captured on film as part of our journey to what we feel are the best baseball movie of all time. 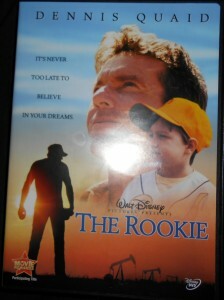 While there is certainly no shortage of baseball movies about real people, the quest for a second chance often rings throughout the narrative of many of these movies which is certainly the case with The Rookie starring Dennis Quaid. 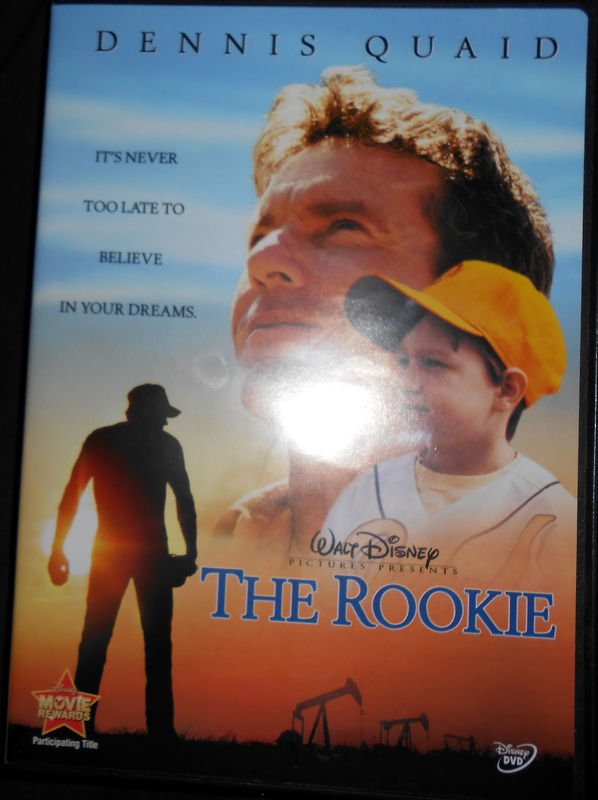 While I never really bought into the fantasy elements of Angels in the Outfield, there was one Disney baseball movie deemed worthy to join my collection and that movie was The Rookie. The Rookie ells the true life tale of a high school baseball coach from Texas getting to live out his dream of pitching in the big leagues for the Tampa Bay Devil Rays after he thought that his dream had been shattered following an injury. As a fan of the Devil Rays turned just plain Rays, I try to soak up as much of the team’s history as possible. The real life story of a Texas teacher turned Major League pitcher portrayed in the Rookie is one of the feel good movies about baseball. Granted there are only about 15 years of history so far but I have lived each one of those years with the team and can remember covering the announcement of their birth into the league so I guess you could say they hold an extra special place in my heart. After being drafted by the Milwaukee Brewers, Jim Morris (played by Dennis Quaid), blows out his shoulder ending his hopes of achieving his lifelong dream of pitching in the Major Leagues. Fast forward a few years to 1999 and Morris is now married with three children, is a high school science teacher, and is the head baseball coach in Big Lake, TX. After discovering that Morris can still bring the heat, his players offer him a deal that if they make the state playoffs, Morris will try out again for the Major Leagues. After the Owls make the playoffs, Morris tries out for the Devil Rays and after being signed to a Minor League contract is assigned to the Class AA Orlando Rays (now the Montgomery Biscuits). After a quick stop in Orlando Morris moves up to the AAA Durham Bulls. In September Jim is told that the Major League club has called him up, and that they will be playing in Texas against the Rangers. In true Hollywood fashion Morris makes his Major League debut against the Rangers in front of many of his friends and family who traveled to see his debut. Morris pitched for the Devil Rays for a couple of years before finally hanging up his glove for the final time. The movie and real life story of Jim Morris show that it is never too late for one to chase their dreams, which is an important lesson for everyone to keep in mind and is what makes The Rookie worthy to be on our countdown.